A JOB offer has brought a glimmer of hope for single mother Nicole Boyo, who is facing eviction while struggling to care for her three young children. "I got a call today, and I am very grateful for that. I am keeping my fingers crossed, and I really hope I get the job. The interview is tomorrow at a supermarket," Boyo told Newsday. 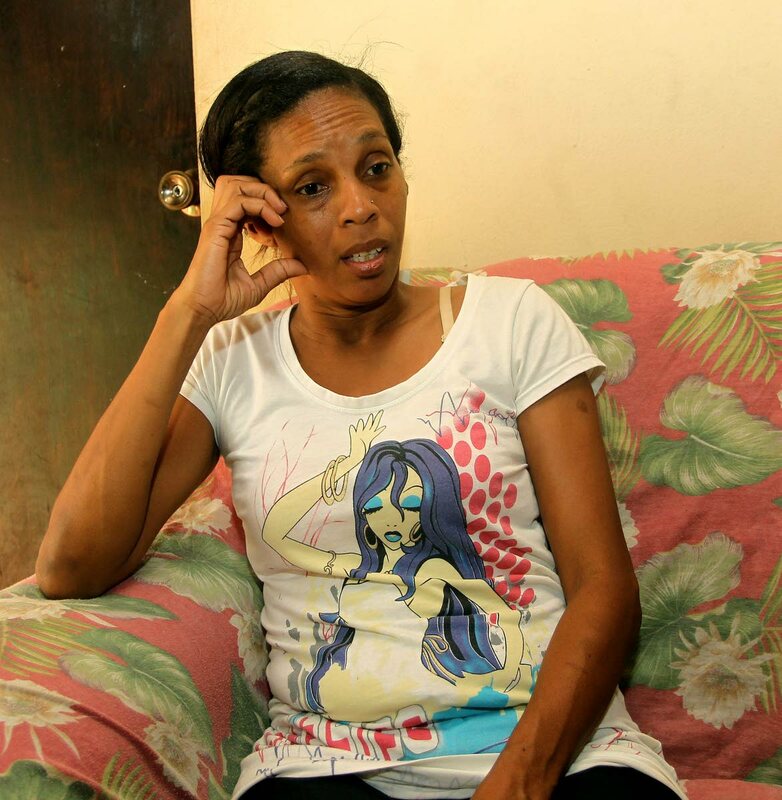 The 42-year-old mother, who lives at Golconda Settlement, San Fernando, said she is desperately searching for a home, as she is to be evicted, but without luck so far. Boyo said many years ago she applied to the Housing Development Corporation for a home and is on a waiting list. "They (officials) keep telling me I am on a list. The last time I visited HDC was last year. "I don’t know where else to look for help. I am trying to be positive at this time for the sake of my children. "I do not like to depend on people for things, but I have to leave here before Christmas," Boyo told Newsday. Since 2015, when their house at New Grant collapsed due to landslips, Boyo has been experiencing disaster after disaster. The property was not hers, and the family had to relocate. They moved several times and mounting problems have taken a physical and mental toll on her, so much so that she even wished death on herself. Unemployed for the past few months and unable to provide necessities like food and clothing to her younger children, 11, 13 and 15, Boyo chastises herself for "failing" them. She has three adult children from a previous relationship. "Sometimes people say things without knowing the facts. I am stressed, my children are suffering, and we need a home," Boyo said. Anyone who wishes to help Boyo can contact Newsday's office at 607-4929. Reply to "Struggling mom gets job offer"